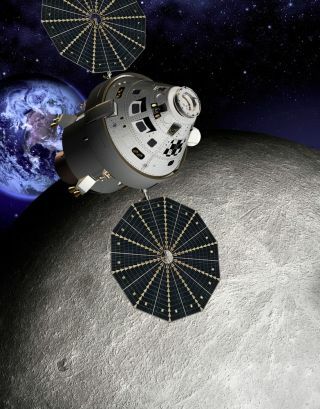 Despite speculation to the contrary, NASA's ambitious plans for a manned space station beyond the moon have not yet been cleared by the White House, a senior administration official told SPACE.com. Over the past year or so, NASA has been drawing up plans for a manned outpost beyond the moon's far side, at a gravitationally stable location known as the Earth-moon Lagrange point 2 (EM-L2). The station would establish a human presence in deep space, serve as a staging ground for lunar operations and help build momentum for exploring more far-flung destinations, such as asteroids and Mars. Word about the potential outpost has begun leaking out in press reports and from space exploration officials over the last several months, leading some experts to suspect that the White House may already be on board — and that an official announcement could be coming soon, especially since President Barack Obama won re-election on Nov. 6. But such speculation is inaccurate, said the official, who was not authorized to speak on the record. "So it's kind of just one of those one-off projects that [NASA hopes if it goes] to the press, or to [Capitol] Hill, that it'll get funded," the official added. "But I don't think that's going to be the case." NASA would rely on its Orion crew capsule and huge Space Launch System rocket — both of which are under development — to build and staff the outpost at EM-L2. The agency wants the capsule-rocket combo to be ready to carry astronauts by 2021. An EM-L2 space station could serve as a stepping stone to near-Earth asteroids and Mars, two destinations that are officially on NASA's docket. In 2010, Obama directed the space agency to get astronauts to a space rock by 2025, then on to the vicinity of the Red Planet by the mid-2030s. The new directive marked a change of course for NASA's human spaceflight efforts, which had been geared toward going back to the moon under the Constellation program. Constellation began in 2004 under President George W. Bush. Obama cancelled Constellation in 2010 after a review panel known as the Augustine Committee deemed it significantly behind schedule and over budget.